Today during the Asian session, USD is growing within the correction after the “bearish” end of the last week. The instrument is supported by positive news around the US-PRC trade conflict. As it became known, the final meeting of the heads of the countries will be held in Beijing on February 14–15. Investors continue to respond to the negative macroeconomic statistics, published in Japan last Friday. In particular, in December the Household Spending indicator increased by only 0.1% YoY against the forecast of +0.8% YoY after falling by 0.6% YoY in November, while wages rose moderately from +1.7% YoY to +1.8% YoY, as experts expected. The January Economy Watchers Current Index was revised downwards from 46.8 to 45.6 points, despite the expected increase to 48.6 points. On the daily chart, Bollinger bands grow moderately. The price range is virtually unchanged but remains quite wide for the current level of the market activity. MACD rises, keeping a poor buy signal (the histogram is above the signal line), and is preparing to test the zero line for a breakout. 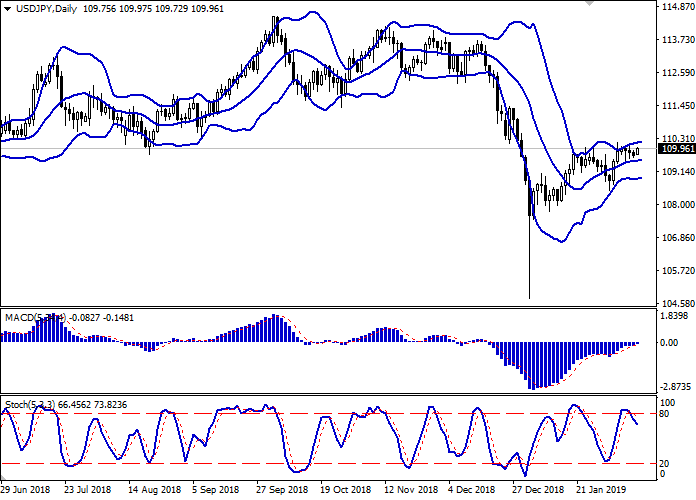 However, Stochastic is directed downwards and is still not responding to the appearance of today's “bullish” dynamics. It is better to wait until the trading signals are clear before opening new positions. Resistance levels: 110.00, 110.45, 111.00. Support levels: 109.54, 109.07, 108.48, 108.00. 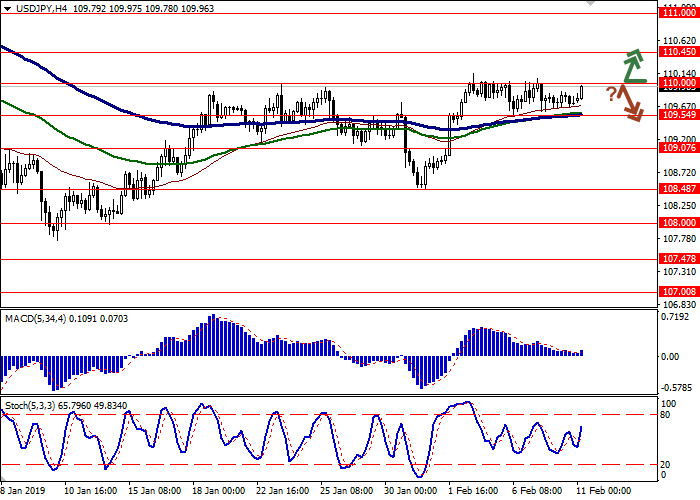 Long positions can be opened after the breakout of 110.00–110.20 with the target at 111.00. Stop loss is 109.70–109.80. 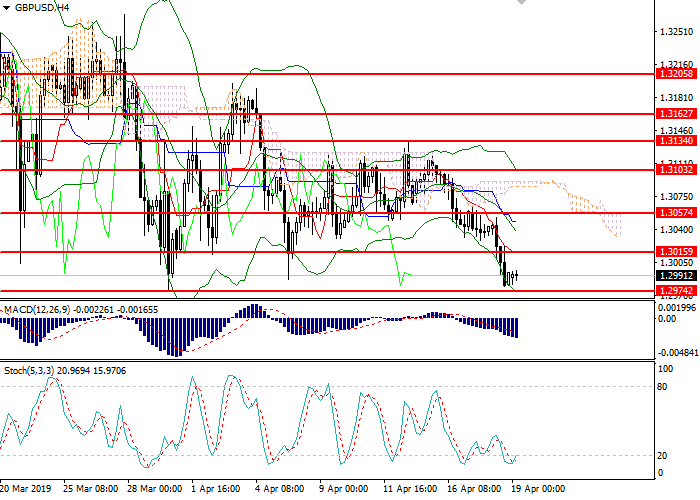 Short positions can be opened after the rebound from 110.00 and the breakdown of 109.54 with the targets at 109.07 or 108.70–108.48. Stop loss is 110.00.